This is Sage 50 implementation. 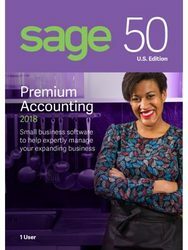 We provide extensive training and use of Sage 50 Software starting from importation of master data such as Chart of Accounts, Vendors, Customers and Inventory.. Followed by a systematic teaching of all modules contained in Sage 50. Surely you will learn from us for we provide video coverage of the whole training so you will never miss a thing. We also have a heart in customizing your forms such as Check Voucher, Check Writer, AP Voucher, Journal Voucher, Purchase Order, Sales Invoice, etc. to assure that you can maximize the use of your software…this is truly a one kind of a deal.